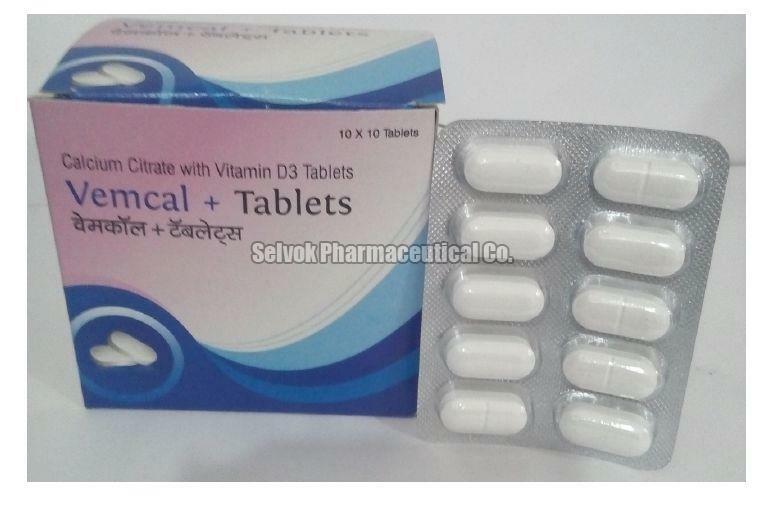 All those who are looking for a responsible name supplying Vemcal + Tablets can get in touch with us! We have our own storage unit wherein we keep a large stock for meeting urgent and massive requirements of the clients. Laced with modern amenities, this unit keeps the lot free from the damaging factors. Detail : Each Film Coated Tablet Contains - Calcium Citrate USP 1000 mg. Vitamin D3 IP 200 IU Excipients Q.S. Colour - Titanium Dioxide I.P.